1 UART_TX O UART data output, 3.3V level; when the power down is prohibited. 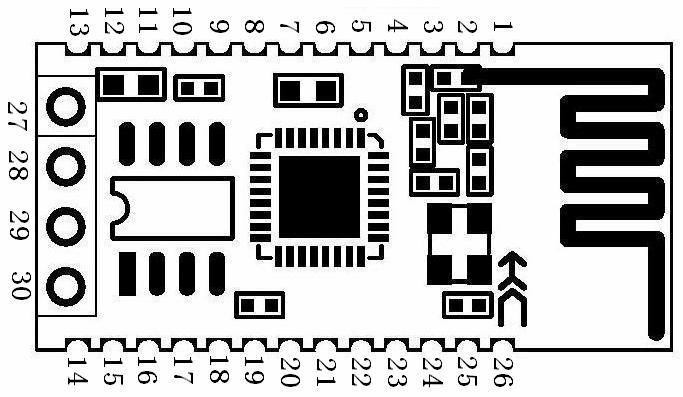 2 UART_RX I UART data input, 3.3V level. 3 GPIO15 I/O Universal input and output, internal module connected with pull-down resistors, electrical work on the module; The feet high, the module power does not work. 5 ADC I AD input voltage range is between 0V to 1.024V, thecorresponding values are 0—1024, 10 accuracy. 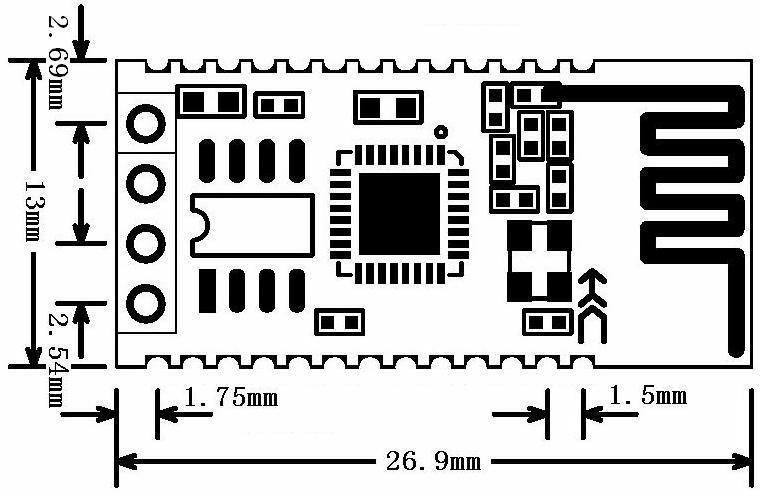 6 CH_PD I Module enable input, the default pull the module to work; then low, Close WIFI chip inside the module, the current is very small (less than 10 Î¼A). 15 GPIO2 I/O General-purpose input / output; internal pull, turn on the power to prohibit the hardware pulldown. 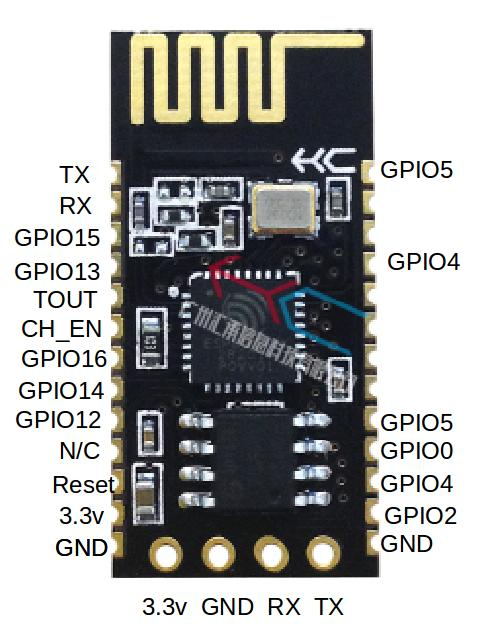 17 GPIO0 I/O General-purpose input / output; float mode, drop down to the firmware download mode. 29 UART_RX I UART data input, 3.3V level. 30 UART_TX O UART data output, 3.3V level; when the power down is prohibited.